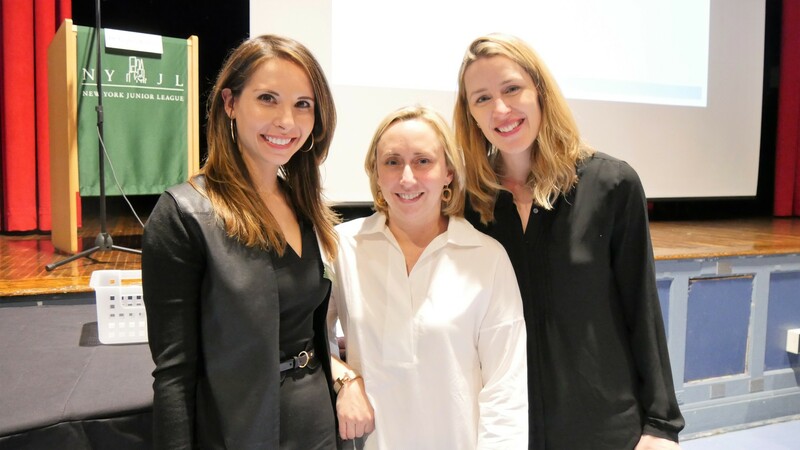 The New York Junior League was honored to host Dr. Lindsey Bordone, Assistant Professor of Dermatology at Columbia University Medical Center, for a recent training on melanoma and skin cancer awareness. Dr. Bordone offered insights into the nature of skin cancer and highlighted other dermatology tips. The NYJL’s Volunteer Education & Training committee strives to highlight topics that can impact the volunteer experience, and our health impacts everything we do. This year, we chose to highlight health concerns like melanoma and skin disease. As we head into the warmer seasons and our outreach moves outside — whether volunteering for PIP or participating in a DIAD event outdoors — we want to give our volunteers all the knowledge they need to make the experience as fun, beneficial and safe as possible. We all enjoy the sun and it is even important to our health. According to Dr. Bordone, we can get enough Vitamin D with only 15 minutes of daily sun exposure. She stressed the importance of sunblock, since sunburns increase the risk of certain types of skin cancer such as melanoma. Dr. Bordone highlighted that while your sunblock will protect you from UVB rays, it is not enough to combat UVA radiation. UVA light causes photoaging and the best way to prevent this is to keep covered and avoid exposure. According to Dr. Bordone, melanoma is the most deadly type of skin cancer. To detect melanoma early, perform self exams and keep an eye out for pigmented spots. Don’t forget to also check out your scalp and eyes! The most common type of skin cancer is basal cell carcinomas, which can be removed quite easily. Don’t forget to see a dermatologist one a year for a full skin examination! A key part of the NYJL’s mission is to train volunteers and our Volunteer Education & Training events are just one way we accomplish this goal. Looking for a volunteer opportunity where you can give back and continue to develop your knowledge and skills? The NYJL is the place for you! Check out a new volunteer orientation to learn more about becoming a volunteer.